VMworld TV covers VMworld in a great way. The crew does a lot of video interviews during VMworld with many experts. The YouTube channel also has the keynotes and some of the most popular breakout sessions available online. 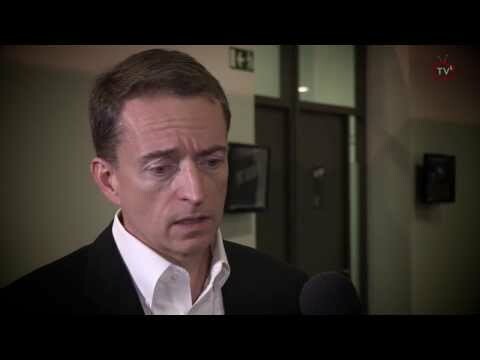 One of their interviews during VMworld Europe 2013 was with VMware CEO Pat Gelsinger. Presenters Eric Sloof and Jeremy van Doorn are hired since a couple of years by Jack Morton Worldwide to cover VMworld. Jack Morton is contracted by VMware to organize the VMworld event. They do all the behind the scenes work and they do a great job if you ask me. At October 15 Jeremy van Doorn had an exclusive interview with VMware CEO Pat Gelsinger. Pet has been at VMware for 13 months now. They talk about the focus , the 3 pillars being Software Defined DataCenter, Private Cloud and EUC, about why VMware does not have had a CTO for 6 months, on how Pat prepares himself for the keynote, the focus of Pat for 2014, and what Pat does in his spare time.